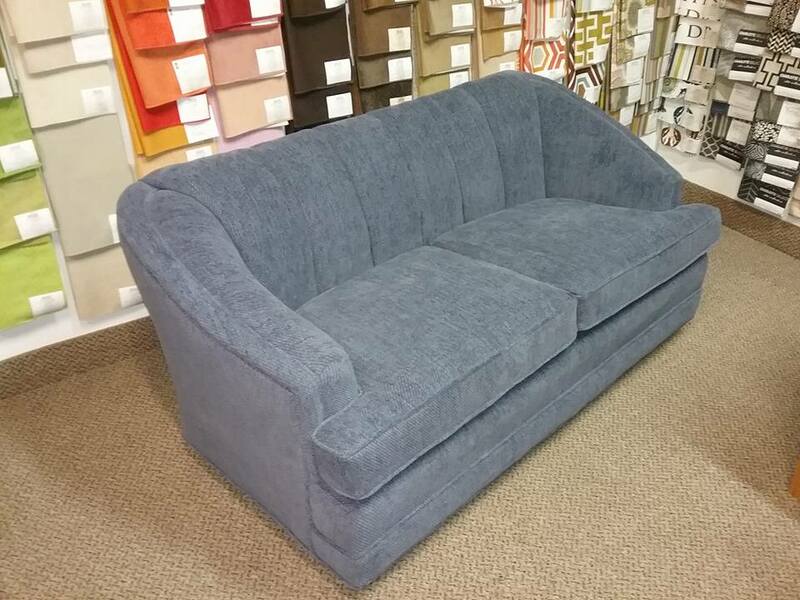 We are proud to introduce our newest sofa design for 2018. 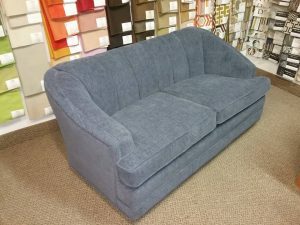 It is our low cost custom sofa line. Available in a variety of styles including sofa, loveseat, chair and a half, chair and many sectional arrangements. While we have reduced the price, by simplifying the design we have not reduced the quality. 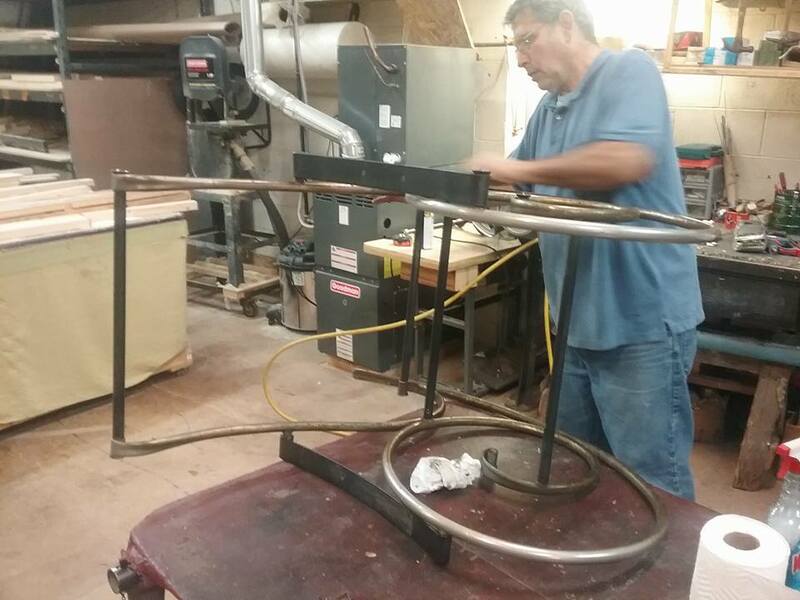 We have constructed this line with coil spring seat construction, and solid wood framing. 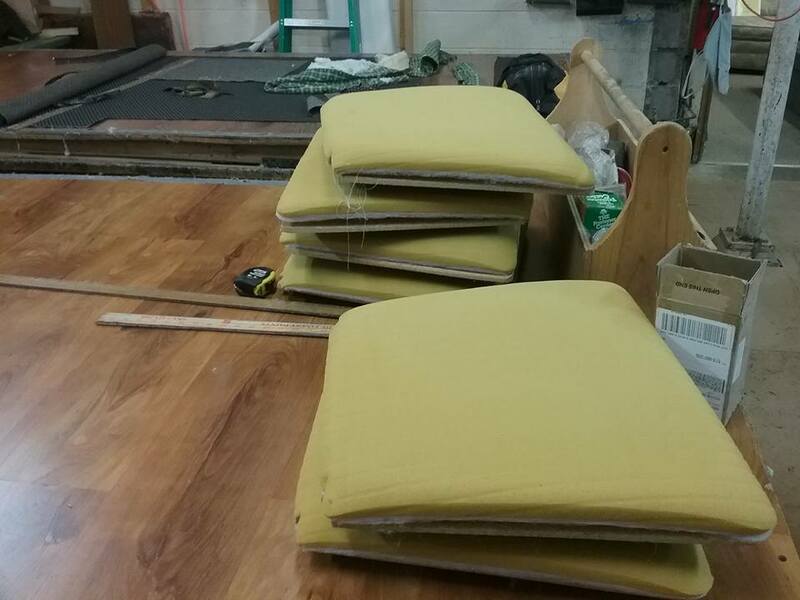 The seat cushions are made with high density foam in your choice of medium or firm to provide you with the comfort that you desire. 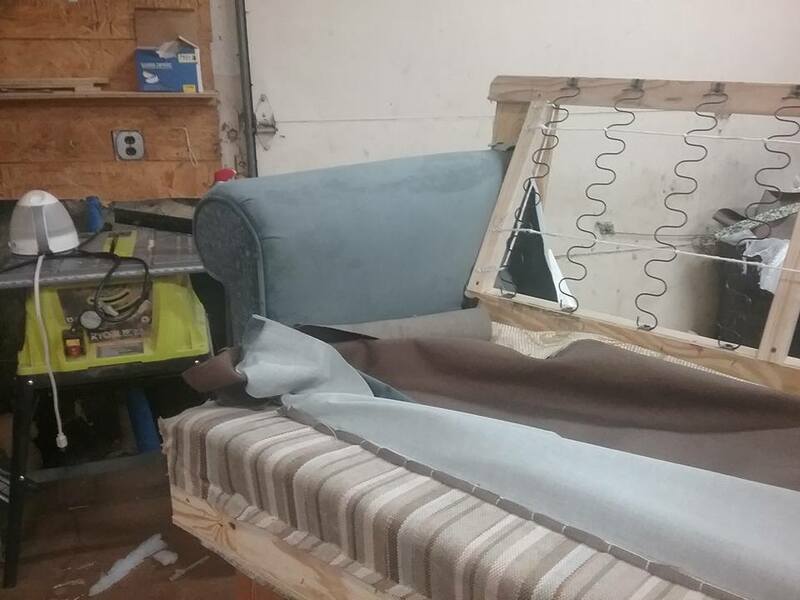 Hand crafted furniture shouldn’t have to cost an arm and a leg, and at MBU, we are providing the clean lines of a quality couch with reversible seat cushions to provide a long lasting, durable piece of furniture at an affordable price. Sofa with in stock fabrics start at just $650. Sofa as shown is only $892. Why not have a piece of furniture made for your home now. 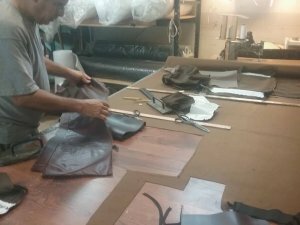 We have thousands of fabrics, leathers and vinyls. 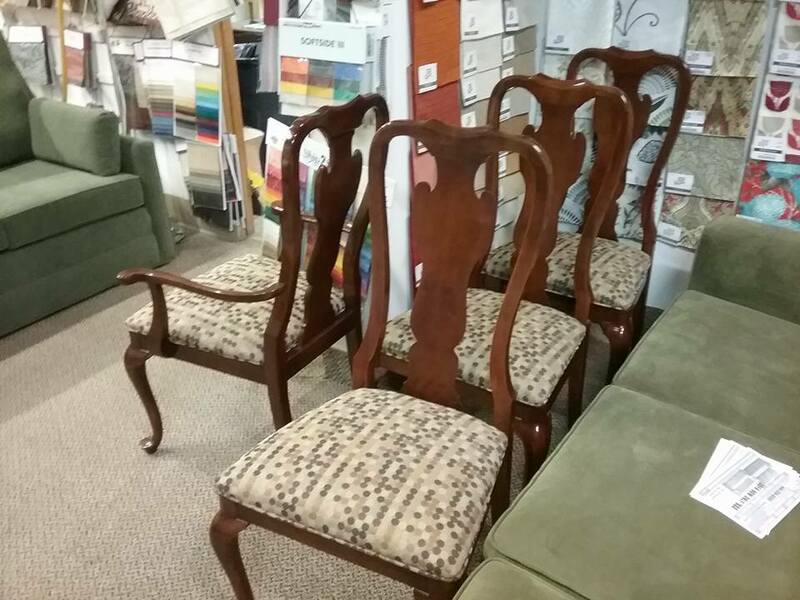 Come visit us to see the quality of our handcrafted furniture. 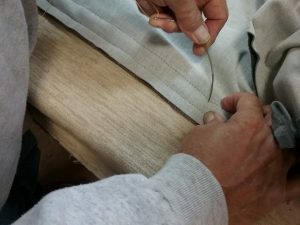 With more than 40 years of experience, we can help you pick out the perfect fabric for you specific needs. 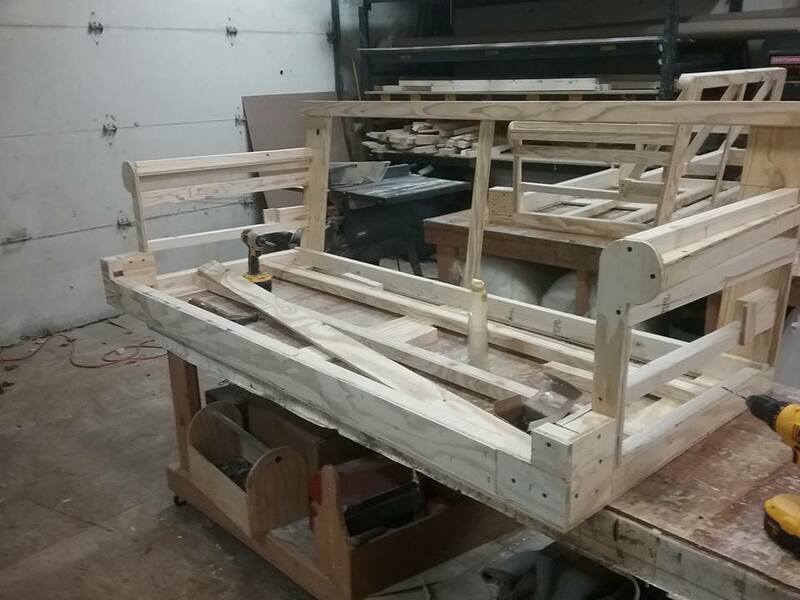 We recently had an interesting project to work on. We were brought a unique rocking chair frame to reupholster. 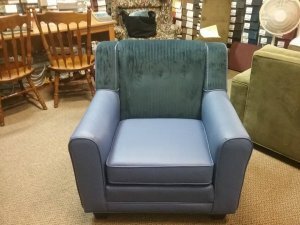 While this isn’t a standard design, we were able to create a new seat and back to bring back this very comfortable chair. A recent sofa and loveseat project allows us to show you some of the details that go into the making of an MBU Interiors product. 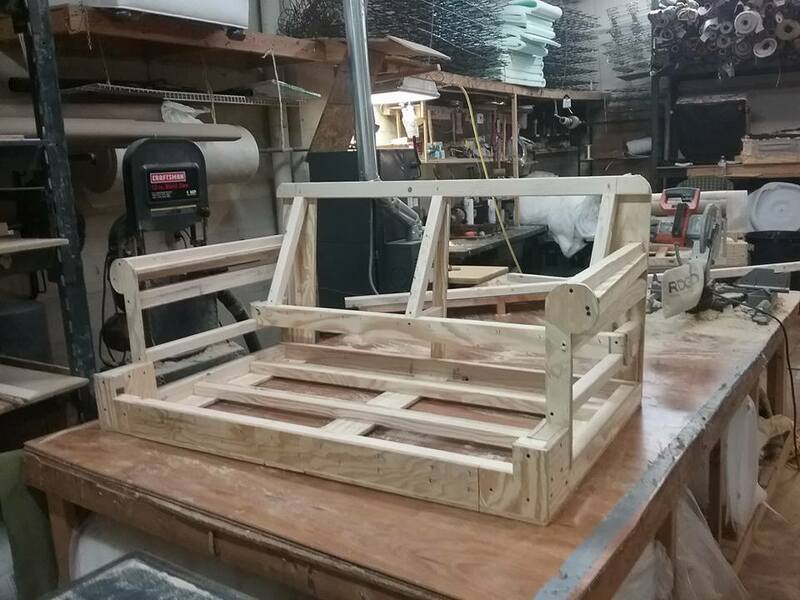 Our frames are handcrafted using plywood and pine. This allows us to create an incredibly strong frame using interlocking joints. 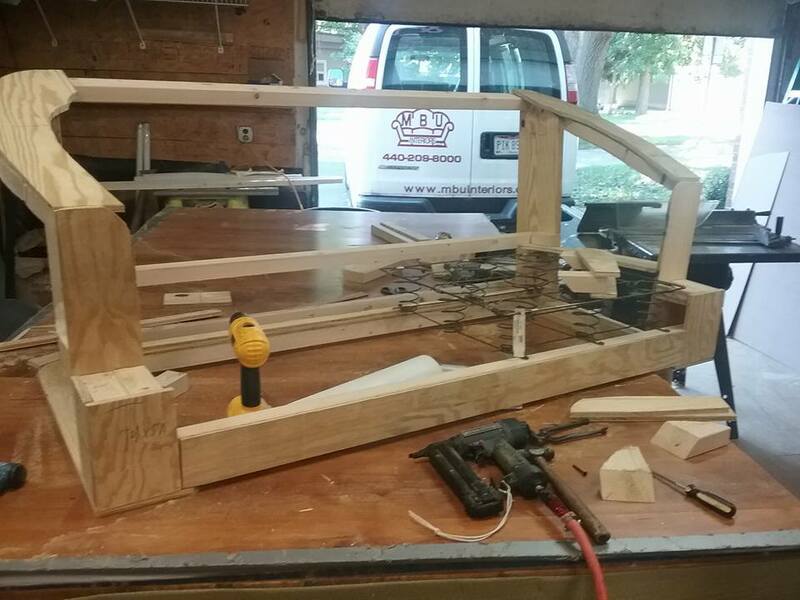 MBU has never had a frame fail in 40 years of furniture construction. 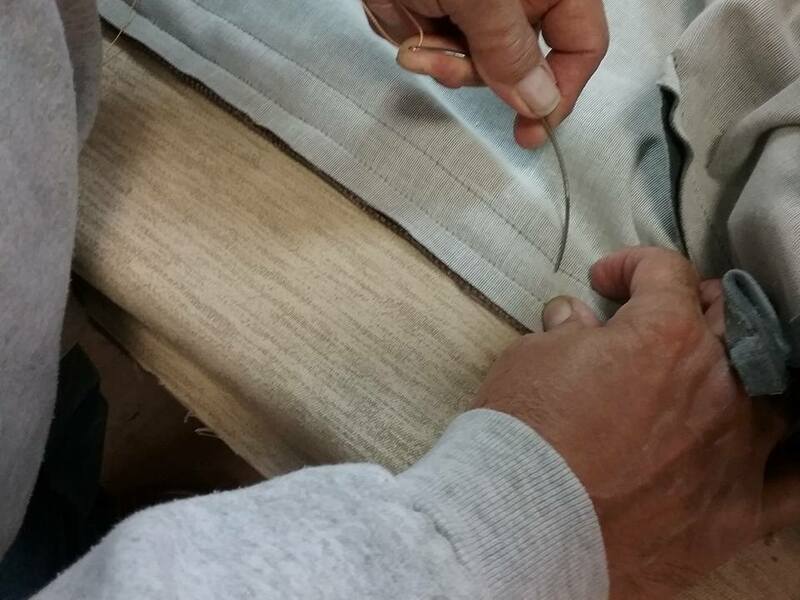 We hand sew the seat deck and seat roll (5 inches back from the front of the seat and under the cushion) to the springs. 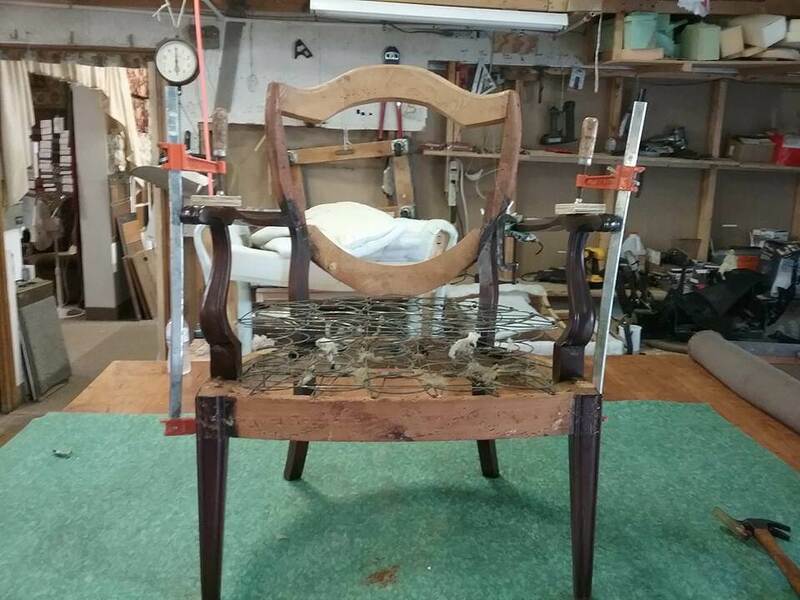 This allows a dip in the fill to allow the crown of the seat to fit into perfectly for a more finished look and to keep the cushions from sliding. 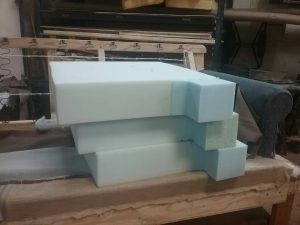 The foam in a sofa or loveseat comes in a variety of densities that allow for different levels of compression for comfort and support. 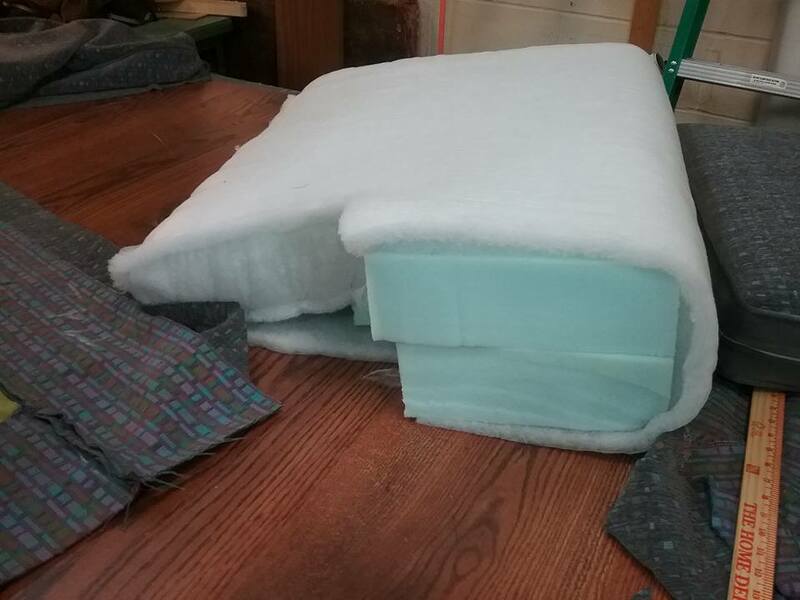 At MBU Interiors, we use different densities of foam in the seat cushions and the back of the sofa. Unlike some other companies who would simply use loose fill in their sofa backs, we us foam in the back and then cover it to keep it in place. 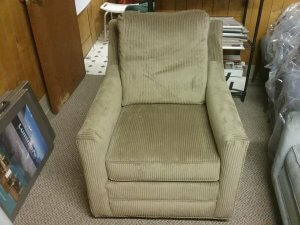 Additionally, we use back springs under the foam for additional comfort and durability. 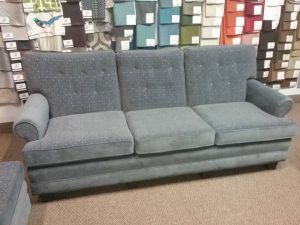 Normally, you do not see that kind of construction in a sofa until you pass into the $2400 range. Depending on the fabric selection, we will be less than half of that. 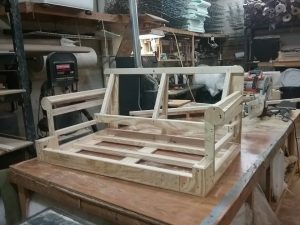 Frame construction of an MBU furniture loveseat. 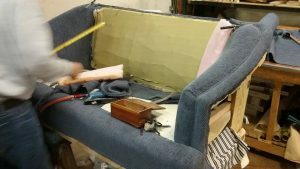 Hand stitching for a more durable and better finished sofa. Detail of foam for sofa cushions. Detail of the padding for the back of a sofa. Updating the fabric on your dining room chairs is one of the easier ways to update the look. 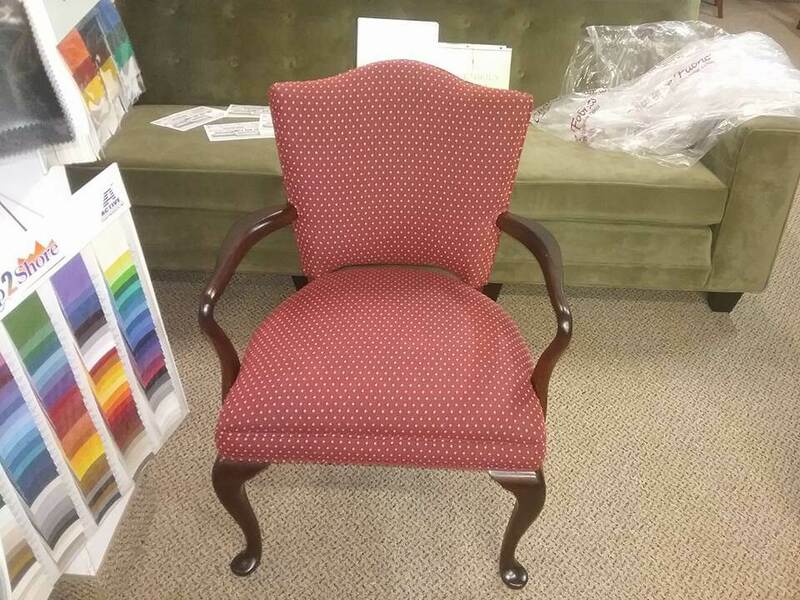 At MBU Interiors, we can update worn or outdated fabrics with a new, modern look. 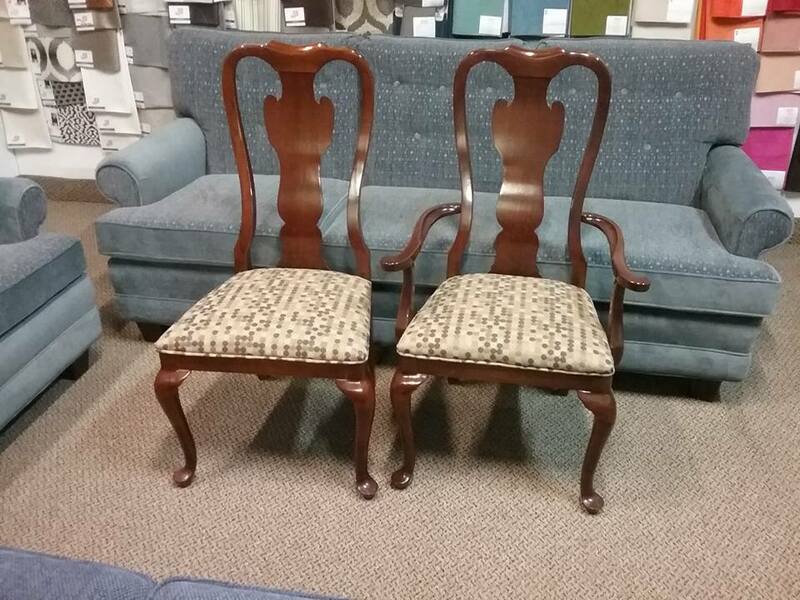 These chairs were recovered with a fresh new fabric with a great circular pattern. 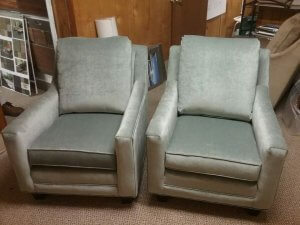 In addition to the fabrics, we also update the padding and or springs if necessary to give you a more comfortable chair. 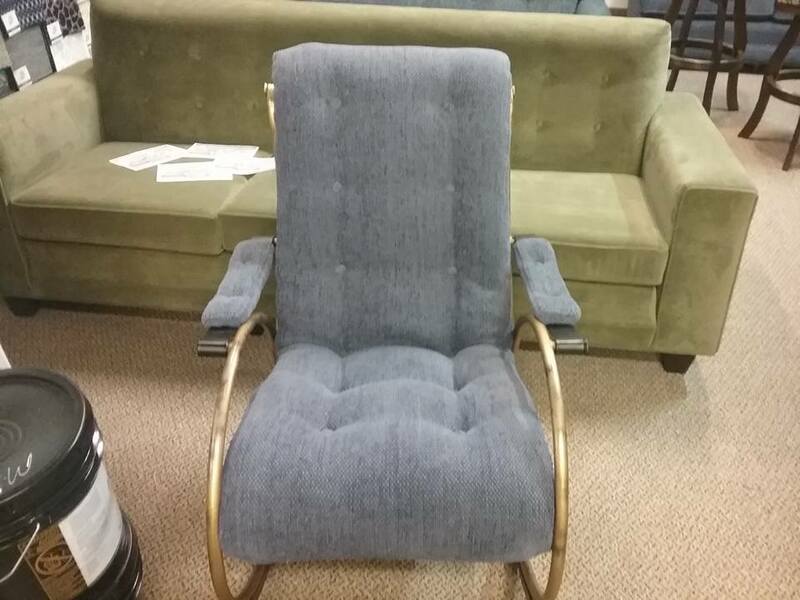 Click on the images below for a more detailed look. Dining room chair cushions waiting to be recovered. 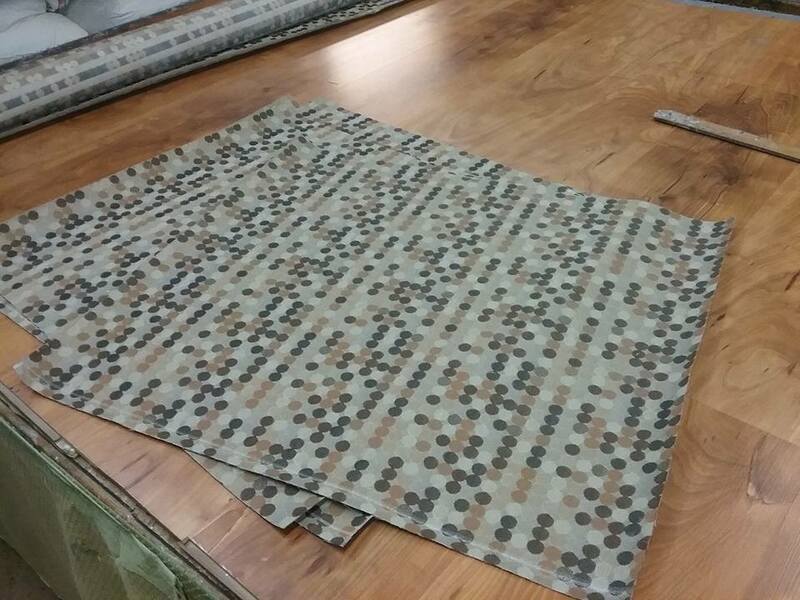 Modern pattern on the fabric for a dining room chair. We recently have been working on a new addition to our MBU Furniture Line. 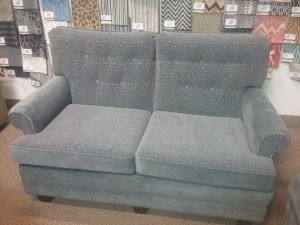 This is the Curved Back Sofa. Click on the photos below to see the detail and strength that goes into an MBU Sofa. Quality construction never goes out of style and will last for years to come. 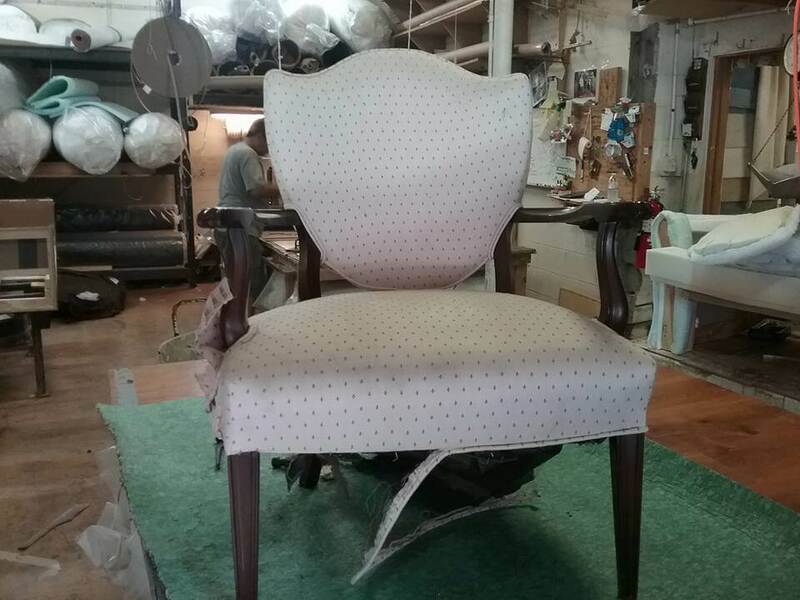 Re-upholstering a wooden arm chair brings an old piece of furniture back to life. By cleaning up the wood, replacing the springs and padding and putting a new, beautiful cover, you can have a piece of furniture that will last for many years to come. Re-upholstering a piece of leather furniture has it’s own little tricks and special touches to make a great looking project. 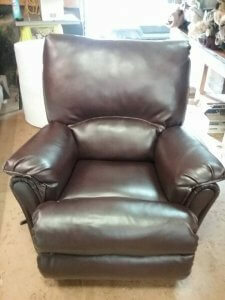 This leather chair was brought back to life in a beautiful brown leather. 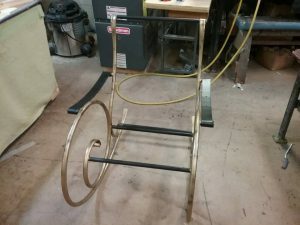 As you can see from the photos below, we hand cut the materials that are needed for a project, allowing us to pay attention to the little things that make a finished piece. 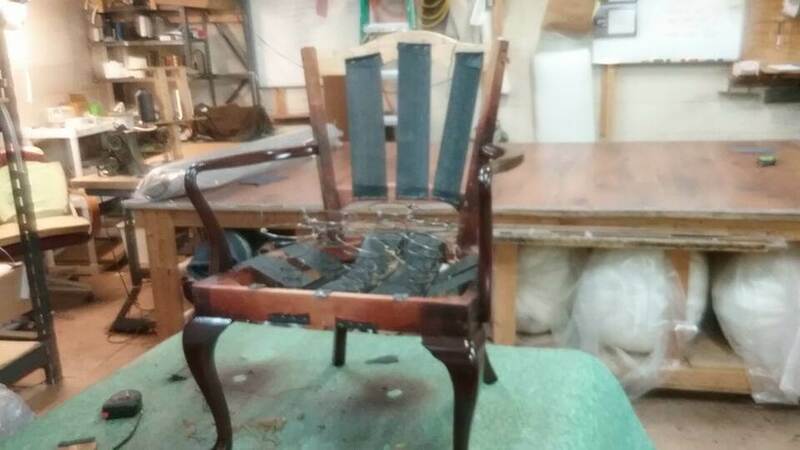 A customer recently brought in a chair that while the fabric wasn’t in the worst shape, just didn’t fit into their decor. We were asked to remove the white fabric and replace it with a red fabric with a small print. 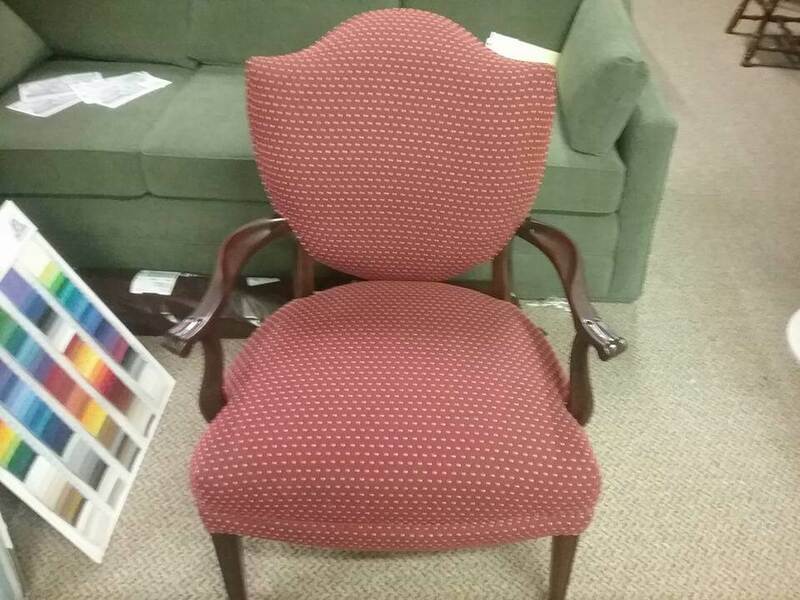 As you can see below, the change in fabric made it look like a completely different chair. Re-upholstery wooden arm chair in process. 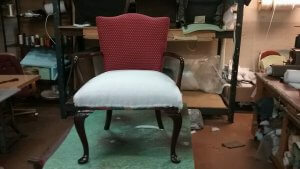 Re-upholstery wooden arm chair finished. 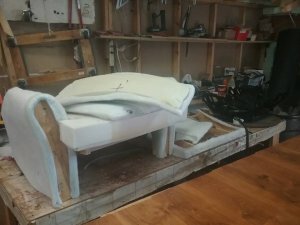 Below is a quick video that we put together showing some of the steps involved in creating a piece of furniture. 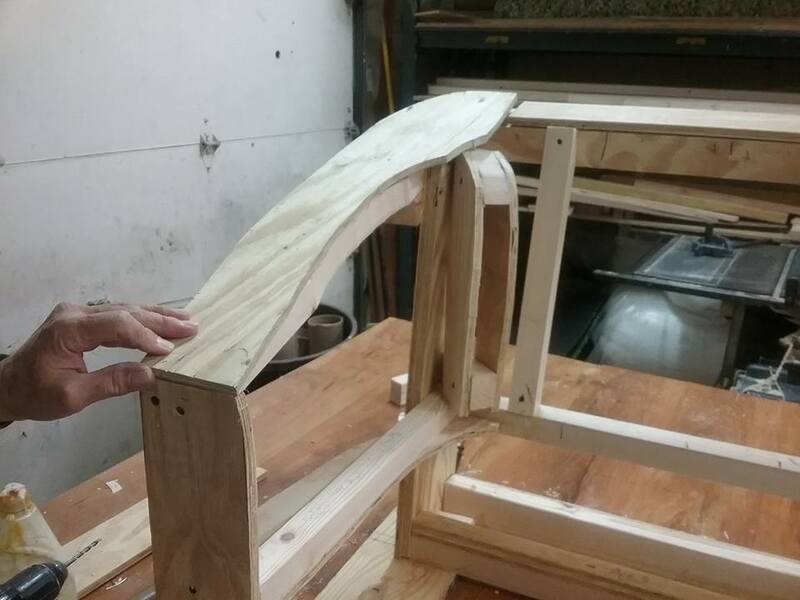 From full wood frame construction to wrapping the padding in the arms, MBU Interiors strives for quality furniture construction. Today we are showing a variety of upholstered arm chairs. Below are some examples of the different looks that can be achieved by using slightly different frame and cushion designs as we as a variety of fabrics and colors. By dealing directly with us, the manufacturer, you cut out the middleman and are able to get exactly the piece of furniture that you are looking for. 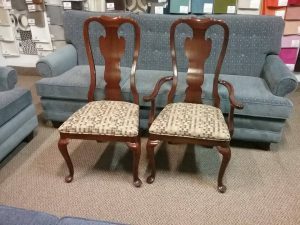 From adjusting the seat heights and foam densities, we can put a new piece of furniture in your home for less than you would think.